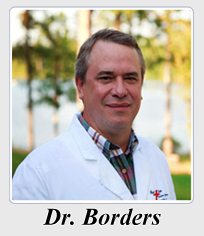 For over seventeen years, cardiovascular surgeon Dr. Blaine M. Borders has served Northeast Louisiana, affirming high professional, ethical, moral, religious and family values in all aspects of the medicine he has practiced. Dr. Borders and his staff want the Heart, Lung and Vascular Clinic to be a one-stop clinic, to help patients minimize the number of office visits and to make treatment as convenient as possible.